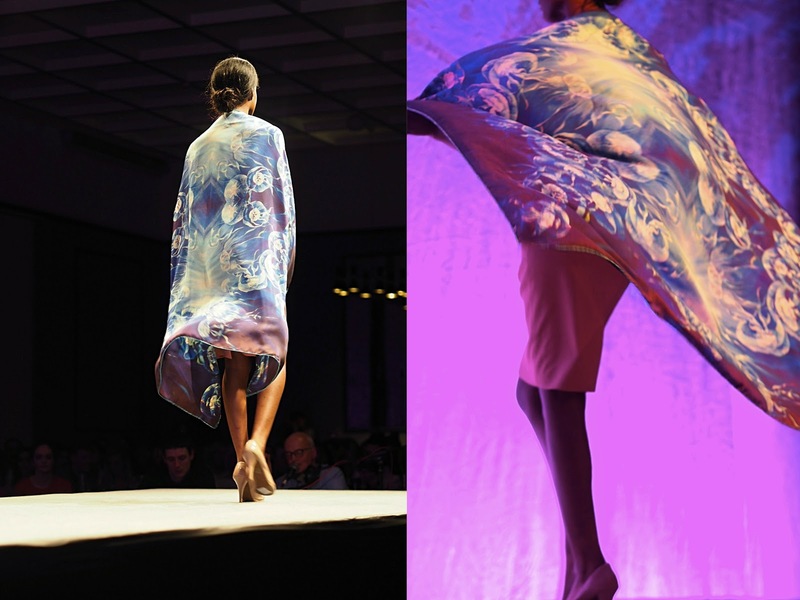 On Thursday last, I was invited along to the Irish Fashion Innovation Awards 2018 (IFIA). This was going to be my second time to attend the awards so I was excited for what was in store. 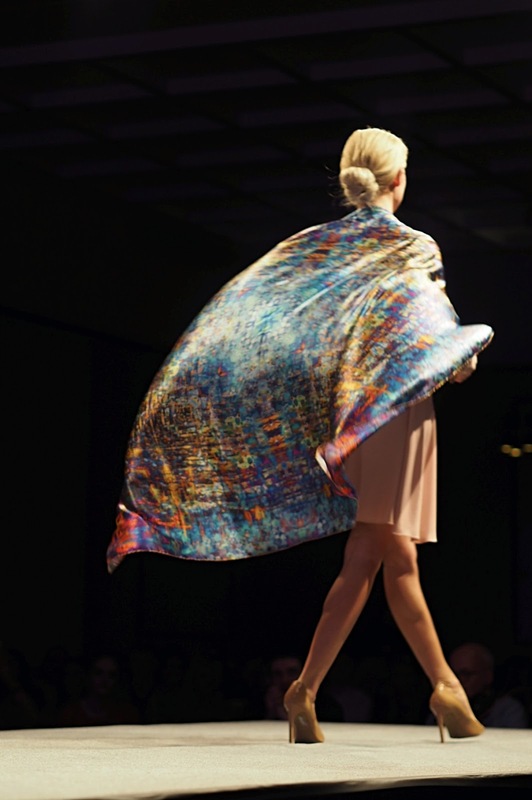 The IFIA is an awards platform for Irish fashion designers and fashion students. It aims to showcase the most cutting-edge designers and give up-and-coming designers a platform to gain an audience and following. I'm going to whittle it down to some my personal favourites (which is a serious task in itself) from each category below along with the winners, I seriously did not envy the judges on the night, the talent shown was insane! 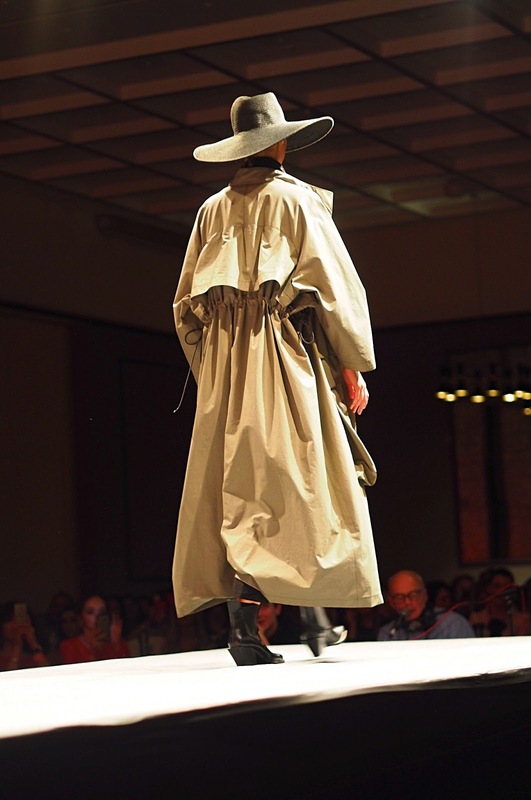 Stephanie Gibbons, GTI - This monochromatic creation opened the show perfectly, it instantly had me in awe and excited for what was to come. I love the movement of this piece, it's simply stunning and something I would only love to have in my own wardrobe. Matthew Tanner, Ulster University - How beautiful is this creation?! It's so elegant but yet has some edge in my opinion. The materials used just work perfectly, and look at that detail, UHHH-MAAZZING. 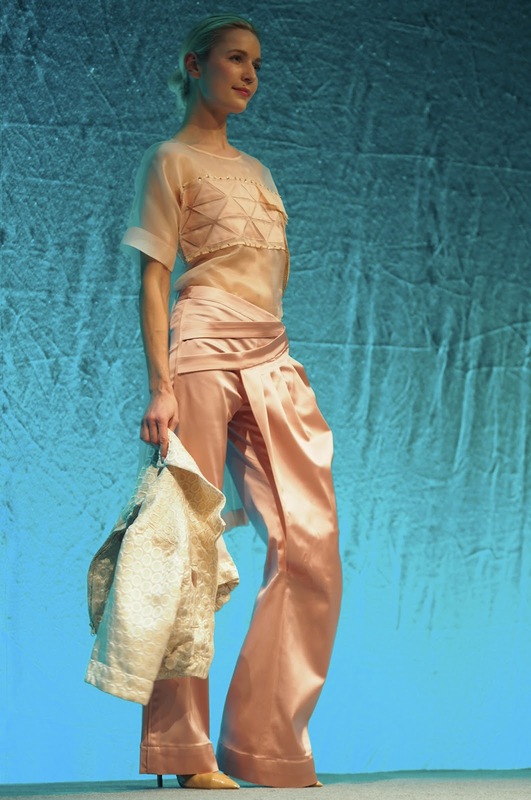 Nuala McCarthy, Mallow College of Design & Tailoring - these pants are goals, the wide leg and satin material? yes please! I love the dusty pink tones throughout this look, it's so feminine and fab fab fab! Niamh Daniels - Niamh is a Galway based designer, she takes inspiration from the ever-changing landscape of the West of Ireland for her designs. Niamh uses a combinations of her paintings, drawings & photography with traditional printing techniques to create colourful works of art. 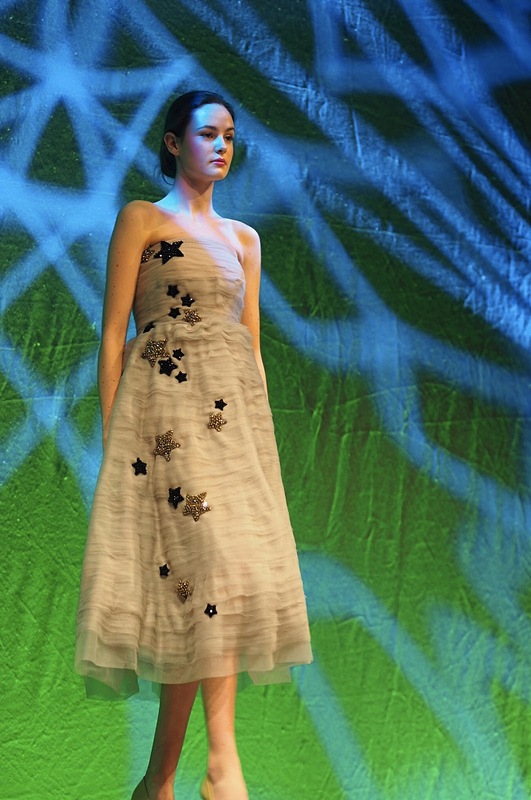 Her current collection focuses on the Irish Sea. 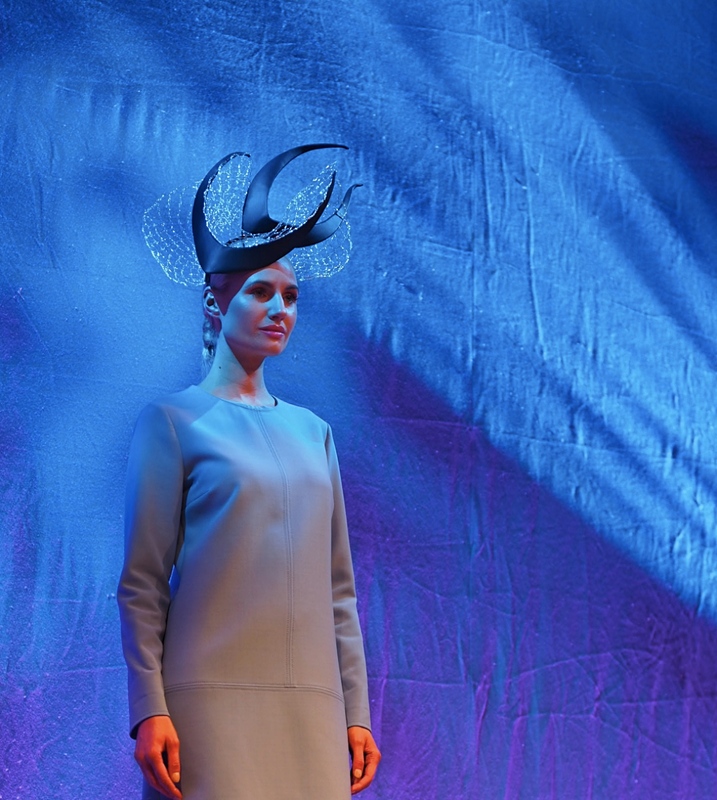 Michelle Kearns - Michelle is a milliner from Tuam, Co.Galway. Her latest collection is light and playful with thoughtful structure bringing her sketch designs to life so the pieces can frame the face and dance around the head. Freya Ann Oatway - Freya creates hats for both men and women for everyday style. When I saw the above creation, I instantly fell in love, this was definitely a top pick of mine. Freya fuses traditional craftmanship with contemporary designs while maintaing a sustainable approach. FAO's S/S18 collection is packed with colour and elegant desings. 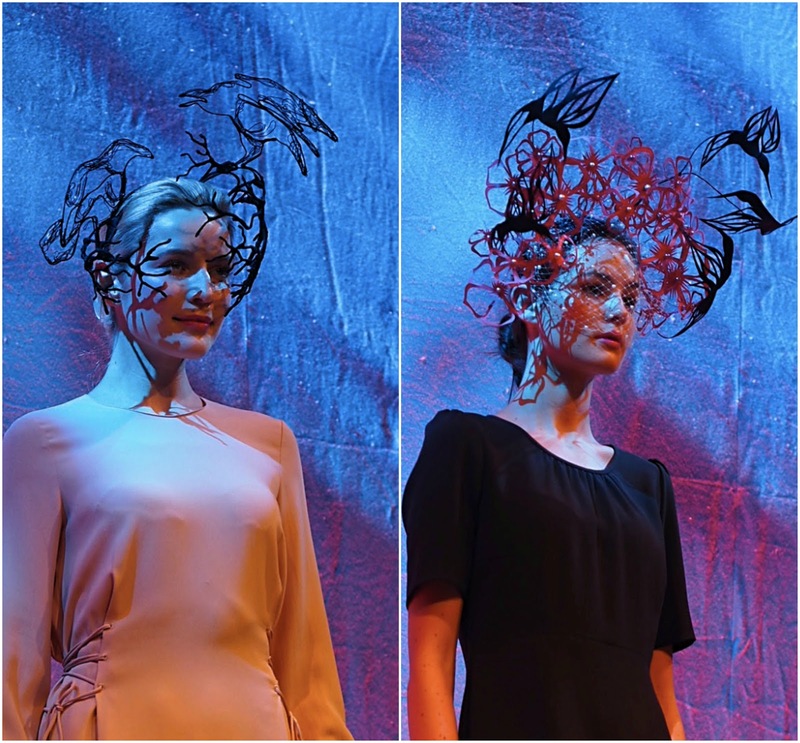 Leonora Ferguson - Leonora is a Dublin based milliner. Her latest collection features sculptural lace forms alongside traditional millinery techniques, drawing inspiration from Japanese theatre and techniques. Caterina Coyne - Caterina was born in London and raised in Connemara. 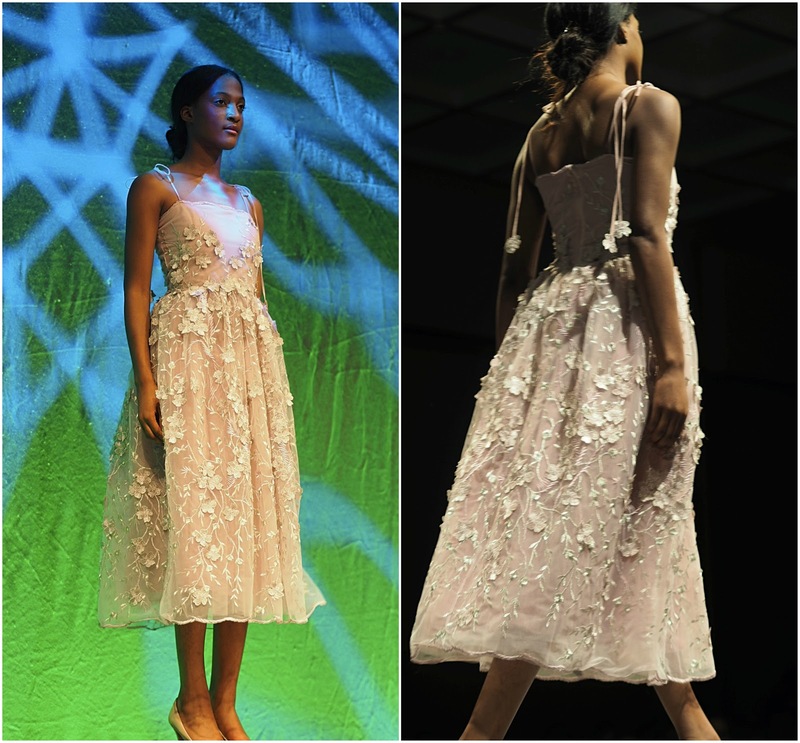 She has distinguished herself as an emerging designer by infusing Carrickmacross lace in a forward-thinking way. Her lace bodice and pastel colour block skirt creation is certainly a strong contender for my favourite look of the night, oh what a dream it would be to wear! 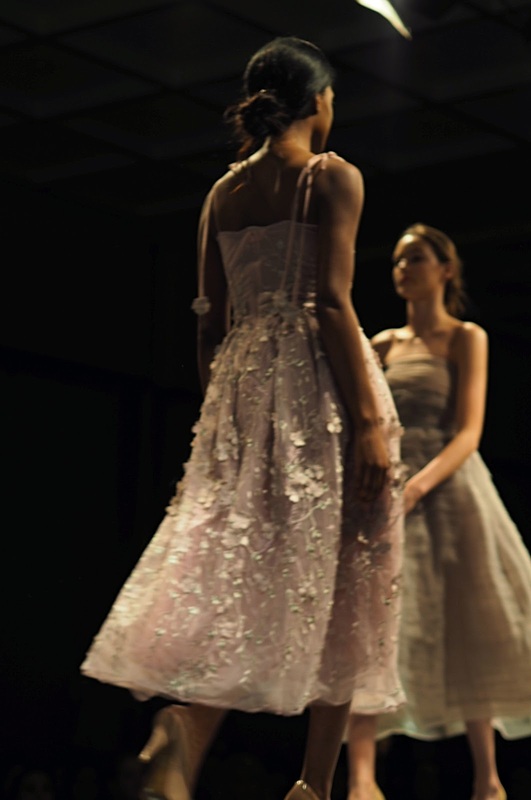 Her designs are feminine and delicate, anyone else currently imagining themselves floating around in her designs? Dolly Delinquent - Amanda Eustace is a Dublin based designer and her label is Dolly Delinquent. 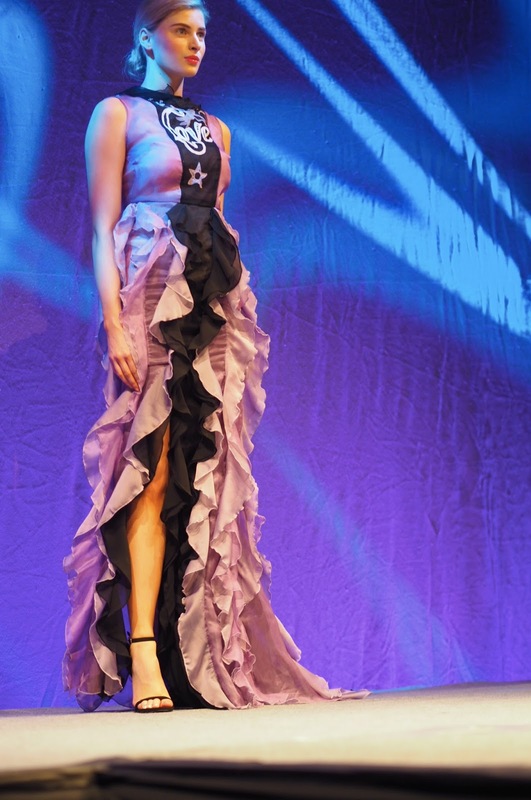 Amanda works mainly with tulle and her creations are playful and creative. This latest collection is inspired by 1920's circus performers and shows a darker side to the usually colourful aesthetic of the label. 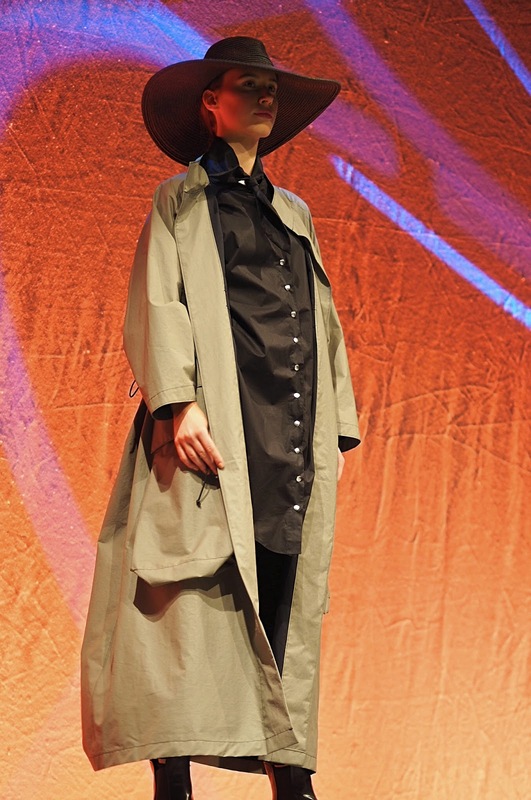 The collection is entitled Rogue Ethereal. I'm obsessed with the textures & layers of tulle throughout this collection, just wow. Sarah Murphy - Sarah's S/S18 collection 'Babylon' is inspired by the Hanging Gardens of Babylon. Using antique fabrics from the Middle East and heritage Aran stitches in innovative ways to create a modern collection, each piece is hand knit and hand loomed in her studio in the Wicklow mountains. This whole collection is so so dreamy! Amie Egan - Amie focuses alot on outerwear, including designs rooted in functional and traditional garments, utility clothing and sportswear. 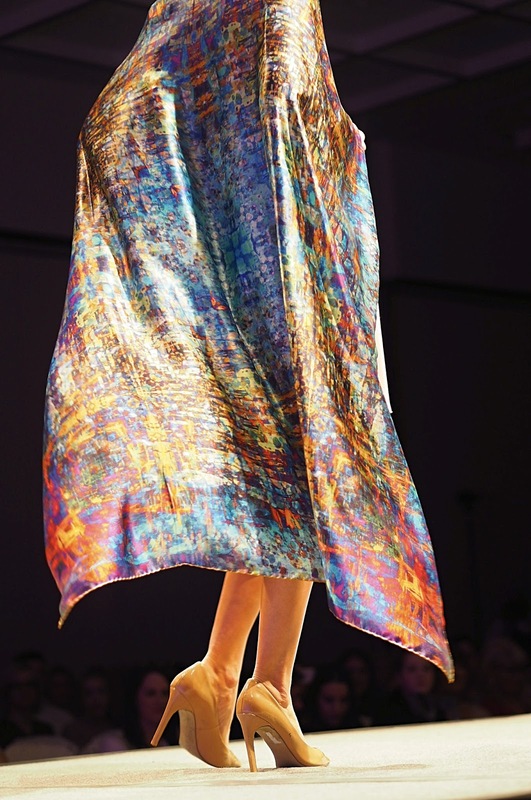 Her latest collection, 'The Hunt', was inspired by the series of medieval tapestries and Francis Bacon's unfinished works. I am in serious need of this coat, how unreal is it?! Barbara Hewson - Barbara is originally from Waterford but has lived in New York since 2010. Her love of traditional cable knit stitches with a modern twist is a major inspiration for her her IFIA collection. The above creation needs to add itself to my wardrobe asap, those boots, yes yes yes! The Awards were held in The Galmont Hotel & Spa in the heart of Galway, it was a perfect venue for such an fabulous evening. I was genuinely taken aback by the talent on show throughout the evening and you can see for yourselves why. I found it to be such an inspiring event and I am so excited to see where these amazing designers go next as they continue to create. I have the upmost admiration for them all, they're clearly such talented and driven people. Thank you so much to Galway Now for inviting me along and a massive congrats to all at Goldenegg Productions for hosting such a wonderful event yet again, I look forward to the IFIA 10th anniversary next year.